Every minute of every day, Susan Kimasop fights for women. It’s not easy; she works in a region where women are treated very poorly. They’re looked down upon as incapable, second-class, people whose rights and opinions and abilities can be easily ignored or denigrated. But those attitudes merely fuel Kimasop’s desires to help. And indeed, she has helped enormously. A former teacher, Kimasop wanted to do more to help, and on a grander scale. So she formed the Women’s Rights Foundation. This organization advocates for women’s rights and economic empowerment, in addition to more specific yet critical issues concerning women, such as female genital mutilation. Kimasop tackles the problems on at least two levels—the practical and the cultural. On the practical side, she has lobbied strongly for educating girls, something that is not a given in her society. She has crusaded against gender-based violence. 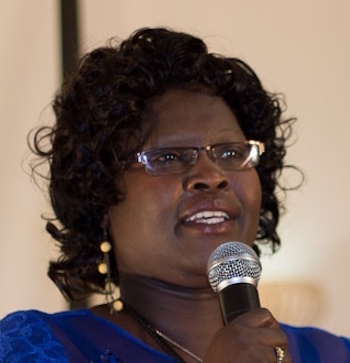 And she has advocated for peace in Baringo County, an area that has for too long been marred by violence. On the cultural side, Kimasop has put forth an extraordinary effort to change people’s attitudes toward girls and women. She wants both men and women to understand that it’s a woman’s right to get an education, to get a job, to pursue a career, to state opinions, to be free from violence, and to have control over her own body. If anything, it’s the latter goal—the cultural change—that is the more difficult. But Kimasop has already succeeded; many more women are now aware of their rights and are now making their voices heard than ever before. That makes Kimasop’s struggles—and her own very real risks in standing in the forefront of a movement that is often disparaged and threatened—worth it.